Training can’t stop just because of what nature throws at you. You never know what race day is going to look like so it’s best to prepared for all conditions. This includes heat, humidity, cold, wind, and yep… rain. We’ve gathered a few tips from our friends on social media to help you prep for running during Hurricane Florence or whatever storm you’ll face. The first tip is the most important by far. Stay safe and let someone know where you’re going, what your average pace is, and when you plan to arrive at your destination. If possible, bring a phone and share your location with that person or use Garmin’s LiveTrack feature. Be sure to run a route that you know. Also, be sure that route doesn’t lead you by any streams or rivers. 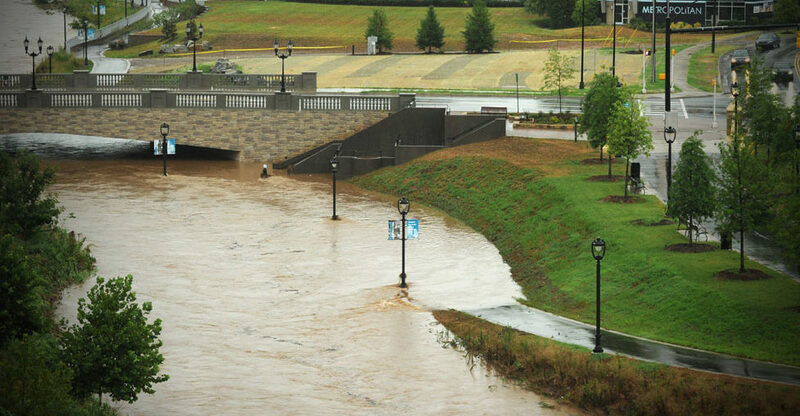 With the majority of greenways in Charlotte being in a flood plain, you’ll want to be sure to avoid them. The underpasses that run you alongside the creeks can become flooded extremely quickly with fast moving currents. Let’s move on to your clothing options. This will change depending on the time of year of your rain run, but we can get a few things out of the way. We’ll start at the feet and work our way up. When you get back from your swim-run, your shoes are going to need some love. We suggest placing some newspaper in them to help absorb all of that moisture. Take those insoles out and place your kicks in a cool, dark place in your house. 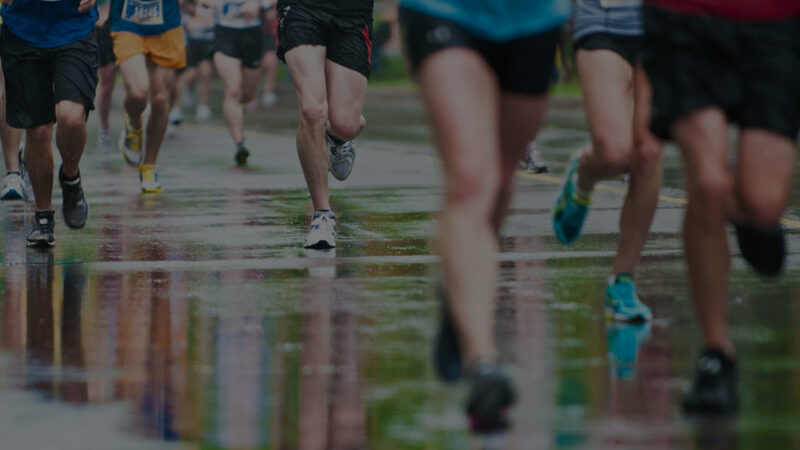 The shoes aren’t the only thing soaked at the end of the run…your feet. Let’s keep them safe. We suggest applying Body Glide or Aquaphor all over your feet. In between the toes. Your achilles. The arches. The tops. Everywhere! Let’s not get any blisters that we could avoid by giving yourself a quick massage. Let’s move on up to your apparel. Please avoid cotton. For our sake. We want you to still enjoy running when you get done with this jaunt. All that rotten cotton will do is open the front door to the chafe monster. Now might be the time and try out those running socks if you haven’t before. Cotton socks becomes a sponge and don’t allow the moisture to evaporate. If it’s summer time, wear super light layers so they don’t feel as heavy and hot when the rain soaks through it. If it’s a little colder, wear a light outer shell that will deflect the H2O. The last, and most important part to your outerwear is reflectivity. You become even less noticeable when cars have to turn their windshield wipers on. We now carry Brilliant Reflective which are brand new stick/iron-on pieces for runners. Lastly, accessories. For most runners these days, the first one you think of is your phone. As we said from the beginning, we highly suggest bringing it with you on days like these. For it to be a working piece of communication, it’s going to need to stay dry. The easiest piece of “technology” for you to “invest” in is a simple ziplock snack bag. From our testing, they’re waterproof and still allow you to use the touchscreen. One more easy addition to your wardrobe is a hat with a visor. This will keep you from needing to wipe your eyes every minute and when it’s really coming down, just duck your head a little and push it up that hill. Mainly, just run. Don’t let a little rain stop you.